Free offer: Intense firearms training for any school administrator, teacher, or staff member in the United States. Trainees will be instructed how to carry and use concealed handguns, in addition to learning live-fire combat techniques. Applicants must have approval from school district officials and be designated as their school's safety monitor(s). 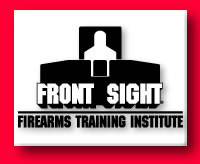 Apply at Front Sight Firearms Training Institute. Piazza, a former chiropractor, started Front Sight in 1996. His interest in self-defense intensified in 1988, when youths drove through his neighborhood and randomly fired their guns. He realized then that although he practiced shooting his guns regularly at a range, he was inadequately trained to use his weapons as defensive tools. His subsequent firearms instruction and practice led him to become proficient with handguns, shotguns, rifles and submachine guns, achieving the elite status of Four Weapons Combat Master. Having studied recent school shooting rampages such as those in Littleton, Colo., and Pearl, Miss., Piazza is convinced that having an armed and trained individual on the premises could have saved lives. He says that most police officers on school campuses today are inadequately trained to confront such combat situations. "We offer intensified courses that surpass those of law enforcement academies," said Piazza. Shortly after the Littleton incident Piazza took 15 students from a two-day class at Front Sight and attempted to replicate the situation that the officer on the Columbine school grounds faced. Piazza says they simulated the distances and time frames that the officer, who was unable to deter the gunman, encountered. "We added additional distractions and stress of being hit in a gunfight by employing a 120,000 volt stun gun to the student, if they were not able to make a second hit within three seconds after delivering a first hit," said Piazza. "All the students hit the simulated suspect on their first shot, and were able to secure a second hit, at 65 yards, within seven seconds, even if they were hit with the stun gun." Piazza was quick to add that the average police officer can't be expected to meet those standards because they don't have the training. Law enforcement academies generally train their officers to be able to hit targets at 25-30 yards. Piazza argues that equipping and training existing personnel would greatly enhance the security of schools. "It seems obvious that armed and trained staff members inside the school are in a better position to identify the attackers and do something immediately to resolve the situation," he said. "It is much harder for police, who arrive on the scene too late to stop the killing, to then figure out where the attackers are and what they are doing. That was a big problem in Littleton." While Piazza believes strongly that training staffs for firearms combat would limit and even deter school violence, representatives in law enforcement and education have reservations about the idea. "We don't need teachers crossing over into police responsibilities," said Roy Balentine, principal of Pearl (Miss.) High School. Pearl had their own incident of school violence in October 1997, when Luke Woodham murdered two students and left seven others wounded. Woodham was detained by a vice principal who had retrieved his own handgun from his vehicle until police arrived. Balentine said while he is a proponent of weapons "as long as they are used properly," he is "more of a proponent of putting police on school grounds." He added that most of the resource officers who patrol Pearl High during school hours are members of the police department's tactical team, and the entire team also conducts training maneuvers in the school after hours on occasion. Another official in a community touched by school violence feels that training teachers is premature. "I hope that doesn't become necessary," said Karen McCuiston, wearily. McCuiston is public relations director for the McCracken County (Ky.) Board of Education. The board oversees Heath High School in West Paducah, where school violence took the lives of 3 students in December 1997. "We are very safety oriented, some people think we've gone overboard," said McCuiston. She added that Piazza's offer was a generous one, however, and would like to see him provide the training for school resource officers. Piazza explained that "most districts cannot afford to have even one full-time police officer in every school, but they can easily afford to train three or more of their staff members for a high level of firearms training because Front Sight will provide the training free." Some police officials were also skeptical of school staff carrying guns. "When one has a firearm in their home, chances increase four to six times that someone will be injured by it," said Louis Mayo, Executive Director of the American Police Association . "It doesn't increase safety." Another officer felt the problem ran deeper. "It puts a Band-Aid on the problem," said Gavin Naquin, a corporal in the Greensboro, N.C., Police Department. "It has been coming for years, and now it has entered the classroom." Naquin is an instructor in defensive tactics and officer survival for several police departments in North Carolina. "Teachers are prohibited from taking disciplinary actions for basic school rules in fear that a teacher will strike a student, because it is unacceptable in society," he added. "The trend has been to take away control from teachers, and now you want to put a firearm in their hands? It's conflicted thinking." Naquin also said that many concealed weapon laws that prohibit firearms on school grounds would have to be repealed. Russ Cook is the Chief of Police in Golden, Colo., and lives just two miles from Columbine High School. He still feels the agony of the recent violence in Littleton and knows many who have been hit by the tragedy. "I cannot believe how paralyzed this community has become," he said. As for arming school staff, Cook said, "I personally feel it's not good, and I can't articulate why, but it's a sad commentary on our society. Whether I would support it I can't say, but it would be a sharp philosophical jump for me to agree to it." However, would Cook feel better if there were teachers trained with concealed firearms at his own children's elementary school?